Start moving beyond your false beliefs, negative behaviors, and inner chaos. Sessions consist of emotional release, energy balancing, and mindset coaching. your life has had its ups and downs. You have probably experienced moments of joy, as well as other times of grief, anger, frustration, and fear. You may have experienced moments of happiness, as well as depression, low self-esteem, anxiety, or any of a wide variety of emotions, both positive and negative. is that some of the negative things you’ve experienced may still be creating problems for you in subtle, yet damaging ways. so your body can heal itself. 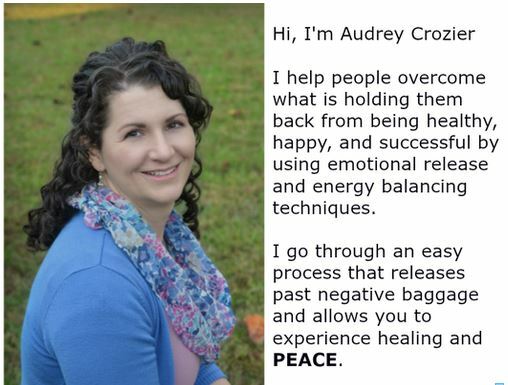 emotional release, energy balancing, and subconscious belief pattern reprogramming. Easy to learn - Anyone can do it! Christian perspective - I have a Christian perspective, but ALL faiths can utilize energy, because it is not "religious"
Available Worldwide - I take clients from all over the world. We connect using Phone or Skype. I am in the USA.